UNISON is the union that represents all ambulance staff, whatever job you do. That includes mechanics, technicians, paramedics, control room staff, administration staff and more. 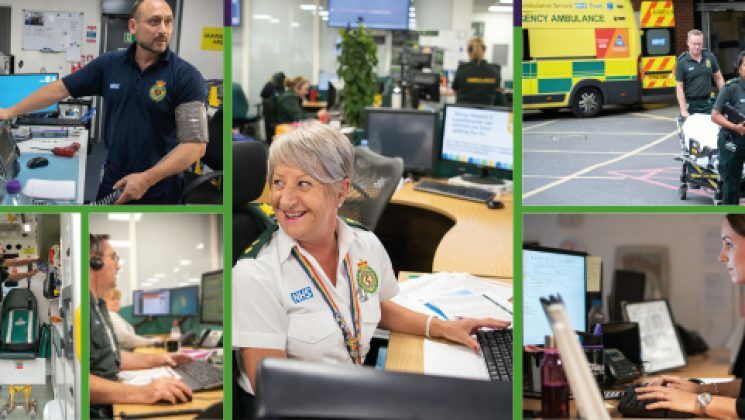 UNISON is proud to represent the team of ambulance staff and is proud of our network of ambulance reps, who all work in the ambulance service just like you. They know first-hand about the issues facing you at work and the pressure you are under – whether it’s low pay that doesn’t accurately reflect the work you do, job losses or recruitment issues that pile pressure on remaining staff, tackling violence against staff, or keeping you healthy and safe at work. UNISON is the union that is out there campaigning to make things better and delivering real improvements for ambulance staff. Getting better pay for paramedics by ensuring that they got moved from Band 5 to Band 6. That wouldn’t have happened without UNISON leading those negotiations. Putting your mental health at the top of the agenda by working with NHS Employers and ambulance employers to create an online hub (Head First) which offers you lots of support to help protect your mental health. Campaigning to ensure that staff are getting the pay they are entitled to, including holiday and sick pay. Pushing for proper career development in the ambulance service that will allow you to expand your knowledge and gives you access to new training to develop your skills. We also give you additional peace of mind as you have access to our professional services unit, who handle representation cases for paramedics, student paramedics and other regulated roles, from start to finish. As well as all this, you get all the benefits of UNSION membership which includes money off holidays and insurance, free legal help, and hardship grants. Your concerns are our concerns. Join UNISON and add your voice to ours. Be part of the union that gets results. UNISON is campaigning to allow student paramedics access to the Government’s Learning and support fund. Currently, new students in England starting a nursing, midwifery or allied health professional course can apply for financial support from the Learning Support Fund, created by Government. Unfortunately, this does not extend to those students studying university paramedic courses. UNISON is fighting to change this, and needs your support. A number of MPs from various political parties have already signed an Early day motion on the topic, and UNISON is calling on members to get as many MPs as possible to show their support for this issue, by adding their signatures. We have created a template letter (Word) for you to use. Healthcare student? Join for just £10 a year while you study!